In terms of intellectual property law and litigation, the Netherlands ranks among the most important jurisdictions in Europe. IP cases in the Netherlands are handled by several courts that can boast extensive experience in that respect. The Hague Court, in particular, has exclusive jurisdiction in patent cases and other specific types of IP litigation, employing specialist judges to assess such cases. Rulings handed down in the Netherlands consequently carry significant weight in the rest of Europe as well. In terms of entering the European market, the Netherlands is an essential starting point. Enforcing IP rights in the Netherlands, therefore, can prove instrumental in the protection against infringement in Europe. IP litigation in the Netherlands is efficient in terms of both time and costs; hence it is a favoured venue for IP litigation. IP proceedings in the Netherlands primarily concern patents, trademarks, designs and copyright. These will be discussed in greater detail, below. There are several ways to obtain patent protection in the Netherlands, of which filing a patent application with the Dutch Patent Office is the first. Second, the protection of patents in the Netherlands can ensue from a European application before the European Patent Office (EPO). In addition, the Netherlands is a member of the Patent Cooperation Treaty (PCT). Whether it be via a national application or an international treaty (e.g., European Patent Convention (EPC), PCT), a patent that is issued for the region of the Netherlands will be governed by the Dutch Patents Act (DPA). National Dutch patents are granted through a patent application procedure before the Dutch Patent Office. Several requirements must be met before patent protection is granted: the invention must be novel, must involve an inventive step and must be capable of industrial application. The term ‘unexamined’ is often used when referring to Dutch national patents. Even though patent application procedures always involve a search into the prior art (national or international, depending on the choice of the applicant), the actual grant of the Dutch national patent will not be affected by the results of such a search. Hence, the results of the search into documents that destroy novelty or are prejudicial to inventive step never prevent applications for Dutch national patents from being granted. The underlying idea is that this would allow smaller companies to obtain patent protection as it limits prosecution costs. Subsequent enforcement proceedings will then address the issue of the patent’s validity. A European patent will be valid in the Netherlands once the corresponding patent application that designates the Netherlands is granted. The rules of the DPA will govern the Dutch part of that European patent. The DPA distinguishes, in some respects, between Dutch patents granted via a European application and those granted following a Dutch national application. The distinction in their respective treatments relates primarily to the unexamined nature of Dutch national patents. However, the remedies are the same for both types of patents. Most of the patents valid in the Netherlands are issued following application procedures with either the EPC or the PCT. In the Netherlands, there are two legal regimes that govern trademark protection. First, there is the Benelux Convention on Intellectual Property (BCIP) of 1 September 2006, that will be amended before 14 January 2019 to implement the Trademark Directive (EU 2015/2436). In the Benelux territory, covering the Netherlands, Belgium and Luxembourg, this treaty governs the grant, scope of protection and validity of trademarks (and design rights). From the date on which the application was filed, trademarks under the BCIP have an initial 10-year term of protection. This initial term can be extended with successive 10-year terms. It is worth noting that a trademark under the BCIP is a unitary trademark for the Netherlands, Belgium and Luxembourg. Such trademarks can be transferred only as a whole, so for the entire Benelux, even though they can be licensed for only one of those three territories. There is no national trademark system in the Netherlands. Even though the position occupied by Benelux trademarks is separate from that of European Union trademarks (see below), Dutch courts interpret the BCIP in conformity with the Trademark Directive (EU 2008/95 and in the near future EU 2015/2436). Dutch courts take the case law of the Court of Justice of the EU into account in their interpretation of the BCIP provisions. European Union trademarks (EUTMs) are valid in the Netherlands provided they have been registered on the basis of EU Regulation 2015/2424 (the Trademark Regulation). The protection conferred by European Union trademarks applies to all EU Member States. The prosecution of European Union trademarks is the responsibility of the European Union Intellectual Property Office (EUIPO). The system of European Union trademark protection is independent of that of the Benelux trademarks, enabling applications to have their brands protected in the Netherlands by both Benelux and European Union trademarks. Dutch courts interpret European Union trademarks, and the protection that they confer, in accordance with the case law of the Court of Justice of the EU. The protection of a European Union trademark in the Netherlands should, thus, correspond with that of the same trademark protected under the BCIP, although the BCIP, contrary to the Trademark Directive, also provides the trademark owner the right to oppose the use of a sign other than for the purposes of distinguishing goods or services, where that sign without due cause takes unfair advantage of, or is detrimental to, the distinctive character or the repute of the trademark. In reference to the trademarks above, the structure of protection of designs is more or less the same. The protection of design rights for the Netherlands, Belgium and Luxembourg is also covered by the BCIP. Considering no national design right system exists in the Netherlands, design right protection under the BCIP is as close as one can get to obtaining Dutch national design right protection. The initial term of protection is five years. This term may be extended to a maximum of 25 years, by five years at a time. The protection of design rights for EU Members States, similarly to that of trademarks, is subject to the standards set in a European directive, which in this case is the Design Right Directive (Directive EU 98/71). In their interpretation of the BCIP, Dutch courts will be attentive to the Design Right Directive and the CJEU case law on this Directive. Design right protection in the Netherlands can also be obtained through a Community design right. EU Regulation 6/2002 governs this Community design right. Designs may be granted for the appearance of either three-dimensional designs, or drawings under both systems. The requirements for such a design are (1) novelty and (2) individual character. The BCIP dictates that the aspects of the design that are necessary for obtaining a technical effect are not covered by the protection of designs. All the technical aspects of a design must be patent protected (see above), and the Dutch system does not acknowledge design rights with a limited technical functionality, such as utility design rights. The protection of copyright in the Netherlands is governed by the Copyright Act. Regardless of being updated numerous times to include various European Directives that are required for specific types of copyright-related protection and the latest update to implement the Dutch Copyright Contract Act (see below), this Act dates back to 1912. Pursuant to the Copyright Act, copyright protection is issued to works of literature, science or art. The definitions of such works is further specified in the Act to include books, plays, industrial design, pantomimes, movies, photographs and also computer software. Only original works with an own, individual character that bear the personal mark of the author can qualify for copyright protection, as established in Supreme Court case law. It is noteworthy that the threshold for copyright protection in the Netherlands is relatively low. For the test of copyright protection, neither the absolute novelty of the relevant work nor the amount of effort dedicated to its creation are contributing factors. Various categories of work have been brought under the protection of the copyright act as a result of this low threshold for copyright protection. The protection of television formats is a first example. While television formats usually comprise elements that are neither unknown or original, Dutch case law dictates that a combination of those elements might result in a format that is capable of passing the threshold of originality. The scope of protection for that format will be relatively low and in any event cannot extend to elements that are not, as such, original. Copyright protection has also been granted to characters (from books, comics or movies) in some cases. In such a case, the character must also consist of at least an original combination of character elements in order to be protected by Dutch copyright. Copyright protection in the Netherlands does not extend to ideas, plans, trends, style or any other types of works that have not been stated in or translated into a concrete form, as established in Dutch case law. In the Netherlands, the general rule of tort protects trade secrets or know-how. Even though the Netherlands is a party to TRIPS, which contains a dedicated clause on trade secret protection, there is no separate Dutch law that protects proprietary confidential business information. The Dutch legislator always considered that the general rule of tort offered ample protection for trade secrets and know-how. In the Netherlands, there is an extensive body of case law on the subject, and the protection of proprietary information is generally considered adequate. Contrary to other countries in which the information itself is protected, Dutch law protects the owner of proprietary informing against acts by third parties unlawfully handling such information (e.g., stealing the information or obtaining the information through fraud) and against acts that violate confidentiality agreements. The new EU Directive 2016/943 on the protection of trade secrets that came into force on 5 July 2016 has to be implemented into Dutch law by 9 June 2018. The legislative proposal to implement this directive shows that a separate Dutch law on trade secrets will be introduced. Currently, the proposal is under debate and subject to amendments. As of the date of implementation trade secrets ought to enjoy a wider scope of protection in the Netherlands. For the types of protection stated above, the Dutch legislature has put in place specific regimes for the protection of databases, the design of chip typographies and plant breeder rights. The Dutch Databases Legal Protection Act is a promulgation of the of EU Directive 96/9 on the legal protection of databases, and provides for the protection of collections of works, data or other elements that have been systematically or methodically arranged following a substantial investment. The entity that has carried the risk for the substantial investment in question is granted a sui generis database right on the basis of the Databases Legal Protection Act. The European regulation on the protection of typographies of chips has been implemented in the Netherlands. This has led to the adoption of a law granting protection for a typography that is original in the sense that it is the result of the maker’s intellectual efforts and is not generally known within the chip industry. This law bestows upon the maker of a typography an exclusive right to reproduce and make such typographies. The law does require this typography to be registered with the Dutch patent office. On 13 December 2017, the District Court of The Hague5 ruled that the Swiss company Vitra, manufacturer of the ‘dining sidechair wood’, cannot prohibit Kwantum from selling a similar chair.6 The Court noted that the chair was first exhibited in the United States and is not protected by copyright law there. Therefore, applying the Paris Convention for the Protection of Industrial Property, the Berne Convention and the EU Directive on the term of protection of copyright, the Court decided that the chair is not protected by copyright in the Netherlands. The Court also ruled that Vitra’s chair did not have its own place in the market when Kwantum launched its product. Therefore, Kwantum did not act unlawfully under the Dutch doctrine of slavish imitation. The Dutch Copyright Contract Act (DCCA) came into force on 1 July 2015, with the goal of strengthening the position of the author and performer in their contractual negotiations and final agreements regarding the exploitation of their works of art. It is also aimed at strengthening the financial position of rights holders in such a way that they receive a fairer remuneration out of the total profits generated by the exploitation of their works than before. On 7 July 2017, the Dutch Supreme Court ruled that long-lasting music publishing agreements cannot be terminated without due cause. This decision was rendered in the case between members of the Dutch Pop group Golden Earring and their music publisher, Nanada Music.7 This is the first decision by the Dutch Supreme Court that refers to the new copyright contract law that entered into force on 1 July 2015 (although that new law did not apply to the termination of the contract in this case). The Supreme Court pointed out that with this new law the Dutch legislator introduced a system in which the possibility of terminating a contract on the basis of insufficient use (non usus) is elaborated (by stipulating that the publisher must be granted a reasonable period within which it can still fulfil its obligations and additional rules for the situation in which the publisher is not willing or not in a position to transfer the copyright back to the author). In addition, the Geschillencommissie Auteurscontractenrecht began operating on 1 October 2016. The setting up of this committee is the direct result of the implementation of Article 25(g) DCA, which provides for the creation of a dispute resolution committee competent to rule on matters of (1) fair remuneration; (2) additional fair remuneration (bestseller clause); (3) non-use of a work; and (4) unfair contract terms. The only fees involved are a complaint fee of €150, and, for the exploiter, registration fees of €150; legal representation is not required. The committee has not rendered any decision yet. On 3 November 2017, the Dutch Supreme Court handed down a landmark decision on the direct and indirect infringement of second medical use patents in the MSD v. Teva case. This case relates to MSD’s Swiss-type second medical use patent protecting a combination therapy of Ribavirin and Interferon Alpha for a specific group of hepatitis C patients (EP 861). Teva had introduced on the Dutch market a generic Ribavirin product. The product included a skinny label, in which the indication of EP 861 (the specific group of hepatitis C patients) had been carved out. The parties did not disagree that there was a substantial market for both a Ribavirin therapy according to EP 861 and for a Ribavirin therapy that was not protected by EP 861 (or by any other patent). The Supreme Court held that a manufacturer or seller directly infringes a patent with a Swiss-type claim if he or she foresees or ought to foresee that the generic substance he or she manufacturers or offers will intentionally be used for treatment covered by the second medical indication patent. This requires that the average person skilled in the art, on the basis of the SmPC or the product information leaflet or some other circumstance, will consider that the substance is (also) intended for or suited to that patented treatment. The manufacturer or seller will then have to take all effective measures that can reasonably be required of him or her to prevent his or her product from being dispensed for the patented second medical indication. The mere circumstance of a carve-out in the SmPC and product information leaflet of the generic drug – as in the present case – is generally not sufficient to rule out direct infringement. The Supreme Court also held that the reasonable protection of the patent proprietor prescribed by Article 1 of the Protocol justifies that there can be an indirect infringement of a Swiss-type claim (in the same way as an EPC 2000 claim). The Supreme Court held that the patented use protected by Swiss-type claims is ‘an essential element of the invention’, which is a requirement for establishing indirect infringement. It is not an objection that a manufacturer of a generic medicine can both directly and indirectly infringe such a patent. On 8 February 2017, the Dutch district court in The Hague ruled in the Archos v. Philips case for the first time in the Netherlands since the Huawei decision on standard-essential patents (SEPs) and fair, reasonable and non-discriminatory (FRAND) issues. In this case the court was specifically asked by Archos to give a ruling on the ‘FRANDness’ of the licence proposals of both parties. The Court ruled that Archos, as the claimant, carried the burden of proof. Archos had not argued that the burden should shift to Philips because of the special position of Philips as a SEP holder, which possessed the information to determine how FRAND its offer really was. In fact, Archos apparently claimed it could prove Philips’ offer was not FRAND on the basis of public information. The Court further indicated that FRAND is a range. Both the offer of the SEP holder and the counter-offer of the SEP user must be FRAND, but that does not mean they must be exactly the same. The Court also noted that a large part of the negotiation history took place before the Huawei judgment. Before Huawei, the jurisprudence (Philips v. SK Kasseten in Holland and Orange Book in Germany) required the SEP user to take the initiative of making a FRAND licence offer, rather than the SEP holder. According to the Court this meant the Huawei judgment justified a ‘moment for new negotiations’ between Philips and Archos. Philips took the initiative ‘in accordance with said judgment’ by making an offer in July 2015 and Archos appears (from the judgment) to have ended the possibility of negotiating a FRAND licence by making a low counter-offer. Although the Court decision does not say so explicitly, it appears the Court considered Archos was not a willing licensee (an obligation of a SEP user under Huawei). The Court decision thoroughly analyses Archos’ submission regarding the Philips FRAND offer and Philips’ rebuttal. However, in the Court finding against Archos it is noted that it could have raised points during the course of the negotiations. Louboutin, whose characteristic red sole for women’s high-heeled shoes is protected as a trademark, enforced its trademark against local Dutch shoe trader Van Haren.10 The legal proceedings in the Netherlands were initiated by Louboutin in 2013,11 claiming that Van Haren infringed the Benelux trademark rights of Louboutin by selling ladies’ shoes with high heels having red soles. The preliminary relief court ruled that Louboutin’s trademark cannot be considered a colour mark for which a high threshold of protection applies. Instead, the court argued, it should be considered a trademark that bears the characteristics of both a colour mark and three-dimensional mark. The court also found that the relevant public in the Benelux would conceive the red sole as a Louboutin trademark and issued an injunction. In the proceedings on the merits that followed, the Court of The Hague, in a decision of 1 April 2015, referred to the CJEU for a preliminary ruling on questions of interpretation.12 The Court wanted the CJEU to clarify whether the ground for refusal of trademark protection for signs that consist only of the shape that gives substantial value to the goods is limited to three-dimensional shapes, or whether it includes other aspects (not three-dimensional), such as colour, as well. On 9 March 2016, the District Court of The Hague asked the Court of Justice of the European Union if the definition of ‘shape’ within Article 3(1)(e)(iii) of Directive 2008/95 is limited to three-dimensional elements of a product or can also include two-dimensional ones like, for instance, a colour. The Advocate General answered this question affirmative in his opinion of 22 June 2017. On 13 September 2017, the Chamber of the CJEU handling this case referred the case to the Grand Chamber (15 judges) of the CJEU because of the potential impact of this case on the overall functioning of the European Union trademark system. After a second round of pleadings, the CJEU also asked the Advocate General to deliver a new opinion. In his opinion of 6 February 2018 the Advocate General confirmed its earlier opinion that Article 3(1)(e)(iii) of Directive 2008/95 is to be interpreted as being capable of applying to a sign consisting of the shape of a product and seeking protection for a certain colour. Recent case law of the Court of Appeal of The Hague (2017) shows the decisive and highly important role that conceptual similarity has in trademark proceedings in the Netherlands. The decision involves the issue between the Dutch company Levola that is known for its cream cheese sold as ‘Heksenkaas’13 and the company Fanofinefood, which filed different marks for its product ‘Witte Wievenkaas’.14 Heksenkaas is a spreadable dip made of cream cheese, fresh herbs and ‘a tiny bit of magic’. The Court of Appeal of The Hague ruled that – merely because of the conceptual similarities – the pending oppositions against the ‘WITTE WIEVENKAAS’ trademarks must succeed. Witte Wieven15 are often portrayed in Dutch mythology and legends as white ghosts, and also female and malicious individuals, that frighten people and live alone. The court ruled that, if broken down by type, Witte Wieven will be characterised by a significant part of the public as a witch and both figures have negative connotations. According to the Court of Appeal a significant part of the public will therefore consider both cheeses as cheeses originating from or designated for fictitious females with negative connotations. Therefore, given the conceptual similarities, the court considered the latter marks conceptually similar enough to cause confusion. This case is now being handled by the Supreme Court. The Advocate General considers in his opinion of 26 January 201816 that the judgment of the Court of Appeal of The Hague, that a substantial part of the public knows the meaning of the notion ‘witte wieven’, is unfounded. He concludes annulment of the decision and referral for further judgment. On 12 March 2017, the Court of Appeal of The Hague terminated the proceedings, which started in 2005, between Red Bull and The Bulldog.17 This case was referred to this court after decisions of the District Court of Amsterdam (2007), Court of Appeal of Amsterdam (2010), Supreme Court (2012), CJEU (2014) and Supreme Court (2015). The Court of Appeal of The Hague ruled that there is no similarity between The Bulldog and Red Bull, which means that The Bulldog has not infringed Red Bull’s trademarks. In a decision of 15 February 2017 by the District Court of Zeeland-West-Brabant the American fast-food chain Wendy’s suffered a loss against a local Dutch snack restaurant, which bears the name WENDY’S.18 The owner of the local snack restaurant, registered a Benelux trademark for the name Wendy’s in 1995. The American fast-food chain argued that the rights to the trademark Wendy’s in the Benelux had lapsed because the name had not been used genuinely in the Benelux, given that the snack bar was merely a small enterprise in the centre of Goes (a small town in the Netherlands). The court upheld the snack bar’s trademark rights to the name Wendy’s for its catering services, and ruled that even limited local use of the name was enough to constitute genuine use. On 19 April 2017, the District Court of The Hague ruled in a case between NXP and Infineon on the use of terms that indicate compatibility with products of another company.19 NXP holds various trademarks that contain the word ‘Mifare’. The court ruled that Infineon’s use of ‘Mifare compatible’ and ‘Mifare compatibility’ is necessary in order to indicate the purpose of Infineon’s chips, that is compatibility of Infineon’s chips with systems that are based on MIFARE-technology of NXP. Infineon therefore does not infringe NXP’s trademarks. On 23 May 2017, the Court of Appeal in Amsterdam decided in a case between the game producer Ravensburger, who registered the Benelux word mark MEMORY, and a third party (Jaludo).20 The trademark is frequently used by other parties as a generic description of the well-known card game. The court decided that the fact that one’s memory is used while playing a game does not render the mark to be purely descriptive. Furthermore, the court decided that the relevant public would interpret the sign MEMORY (often written with a capital M) as an indication of origin and that the use of the sign MEMORY by Jaludo could create the suggestion that there is a connection between Jaludo’s games and the trademark owner Ravensburger. The implementation process of Trademark Directive (EU 2015/2436) into the BCIP is on track. The Protocol of amendment to the BCIP was signed on 11 December 2017 by the Benelux countries. The national parliamentary procedures in the Benelux countries can therefore begin. As mentioned above, the general rule of tort provides for the protection of trade secrets under Dutch law. Dutch companies across various sectors welcome the need for adequate protection of trade secrets that extend beyond the ambit of tort law. Because of this, many businesses are keeping a close eye on the current implementation in the Netherlands (into a new separate law on trade secrets) of the European Directive for the protection of trade secrets, this has to be done by 9 June 2018. With respect to the current protection under Dutch law, the new law will regulate the protection of trade secrets and proprietary information in a manner akin to IP protection. On 20 July 2016, the Court of Appeal of The Hague decided that Massive Air infringed the design rights of Fatboy and Oomen. Oomen is the designer of the LAMZAC Hangout, an inflatable lounge chair with a long, stretched appearance with a split in the middle to make it suitable to lie on by a person. On 17 August 2015, the designer applied for a Community design right, which was transferred to Fatboy. In general a valid Community design only protects the original, visual features of a design. Features of appearance of a product that are solely dictated by its technical function, cannot be protected by a registered Community design. This is also what Massive Air argued regarding the LAMZAC, but the Court of Appeal disagreed because the shape of the LAMZAC is not exclusively dictated by technical requirements since, according to the Court of Appeal, other shapes were possible to choose from to meet those technical requirements as well. The Dutch Patents Act provides that patent protection can be obtained for inventions that meet three conditions: they must be new, involve an inventive step and be capable of industrial application. In addition, the invention has to be sufficiently disclosed in the patent and needs to be described clearly therein. These requirements reflect those stated in the EPC. As is the case in the EPC, certain subjects are not considered to be inventions under the DPA. These subjects include scientific theories and mathematical methods, aesthetical shapes, computer programs and business methods. The DPA also describes inventions that cannot be patented, such as the human body in its various stages of development, and the discovery of parts of it that include sequences or partial sequences of the genome, plants and animal breeds, methods that are predominantly biological in nature and methods for the treatment of the human or animal body. To be more specific, the DPA provides that certain methods would be contrary to public policy and therefore cannot be patented. Such methods include human cloning, methods whereby the genetic identity of humans can be changed, using human embryos, methods changing the genetic identity of animals that would cause suffering without any medical use and methods that could damage the health of humans, animals or plants or lead to significant damage to the environment. In the Netherlands, patent protection can be obtained by filing a patent application with the Dutch Patent Office. Once 18 months have passed from the date on which the application was filed, the application will be recorded in the patent register at the earliest opportunity. The patent application is made public at that time. The patentee will then have to apply for a novelty search within a period of 13 months of the filing or the priority date. While the search may bring to light documents that could destroy the novelty of the invention or be prejudicial to its inventive step, the results of the search have no impact on the actual grant of the patent. The patent will be registered at least two months after the publication of the search and be thereby granted, affording it a protection period of 20 years. After learning the results of the novelty search, the patentee can amend the patent application if need be. While Dutch national patents are not examined per se, the validity of the patent will become the issue at the heart of any enforcement action initiated by the patentee. It bears noting that most of the patents enforced in the Netherlands are actually Dutch parts of European patents that have been issued by the EPO after a successful patent application. The wording of the patent claims determines the scope of protection of a Dutch patent, which must be interpreted in light of the descriptions and the drawings accompanying the patent. In Dutch case law, reference is often made to Article 69 EPC and the protocol belonging thereto. In some cases, the prosecution file may carry relevance for the scope of protection of patents in the Netherlands. In the Benelux, trademarks can be obtained by filing an application with the Benelux Office of Intellectual Property (BOIP). The BOIP also offers accelerated proceedings in which a trademark can be registered within 24 hours. Following the publication of the application, the BOIP will assess whether the trademark satisfies certain requirements, such as whether a distinctive character is lacking, whether it contains signs that actually indicate certain aspects of the goods or services or signs that have become descriptive. Whenever the BOIP plans to refuse a trademark application, it will substantiate its intentions with reasons. Afterwards, the applicant will be given the opportunity to counter the BOIP’s decision by advancing arguments supporting its case. In the event that the BOIP finally refuses the trademark, this decision can be appealed against before the Court of Appeal in The Hague. After the trademark has been registered, third parties will have a period of two months, starting on the first day of the month after publication, to lodge an opposition to the trademark. Trademarks will be valid for an initial period of 10 years once they have been registered. This initial validity period can be renewed for additional 10-year periods, which is not subject to any cap. Because trademarks are liable to be revoked if they are not put to normal use, a trademark should, in practice, be used within five years of registration. A Benelux trademark bestows upon its owner an exclusive right that can be invoked against signs that are either identical or similar and that are used for goods or services that are either identical or similar. Trademarks of a certain reputation are granted a broader scope of protection on account of said reputation. A requirement that arises from CJEU case law is that the use of an established or alleged infringing sign is detrimental to one of the trademark’s functions. A different regime applies in the Benelux, where trademark owners can also claim infringement against the use of an infringing sign that is not used as a trademark (to distinguish goods or services). The requirement here, though, is that the infringing sign is used in a way that is taking unfair advantage of or is detrimental to the reputation or the distinctive character of the trademark. The BOIP is also charged with the processing of applications for Benelux designs. Design right applications are registered first and then published, and must contain a picture, drawing or some other graphic representation of the design that is registered. Whether the formal registration requirements are met by design is not for the BOIP to examine. The registration requirements aforementioned are novelty and individual character. The former requirement, that of novelty, is met if no identical design has been made public prior to the application date. The latter requirement, that of individual character, is met if, to the informed user, the general impression of the design is different from the general impression resulting from designs that have been made available to the public prior to the date of application. The Benelux design right confers upon the design right owner the right to object to any use of a product that in which the same design as the registered design has been incorporated or any use that does not give a different overall impression. Objection can be lodged against the production, offering, trade, sale, rent and importation of the product in question. Copyright protection under the Dutch Copyright Act (DCA) is conferred on a work by the actual creation thereof, such to the extent that the work has an original character and bears the personal mark of the maker. As the Netherlands is a party to the Berne Convention, the registration of copyright is not subject to any requirements. There is no copyright register in the Netherlands. A copyright under the DCA provides the copyright holder with an exclusive right to copy or make available to the public the copyright-protected work or adaptations thereof that cannot be considered a new work. The Netherlands does not yet have a separate law or provision for the protection of proprietary confidential business information, as has been mentioned in the foregoing. The best way of protecting information of this nature is by maintaining and safeguarding its confidentiality, and by imposing confidentiality obligations on all parties that gain access to the confidential information. In the Netherlands, valid intellectual property rights can be enforced through the regular system of civil proceedings. The EU Enforcement Directive (No. 2004/48) has been implemented in the Dutch Code for Civil Procedure (DCCP), which includes such measures as ex parte injunctions, seizure of evidence and full cost orders for losing parties. Typically, the Dutch enforcement of IP rights starts with a letter to the alleged infringer, stating the details of the infringement, the IP rights that are invoked and the steps that the infringer is requested to take. If no settlement is reached, the IP holder will typically start preliminary injunction proceedings or proceedings on the merits. In practice, most IP cases are brought before the courts in The Hague and Amsterdam. Consequently, these courts can boast most experience in this regard. For more information on exclusive jurisdiction, see below. The legal enforcement of IP rights generally needs to be initiated before one of the district courts in the Netherlands. These district courts are equipped to rule on the merits of cases regarding IP infringement or the validity of the IP rights in question. Cases involving an urgent interest can be heard in preliminary injunction proceedings before these district courts. If the defendant has its place of business in the Netherlands, or if the actual IP infringement takes place on Dutch territory, Dutch courts can assume international jurisdiction to take cognisance of disputes. Once international jurisdiction has been established, to the extent necessary, the jurisdiction of the relevant district court is determined in much the same way. The court of the district in which the defendant has its office, or in which the infringement actually takes place, will have local jurisdiction. These rules allow the possibility of multiple district courts having jurisdiction within the Netherlands. On the basis of several Dutch IP laws, exclusive jurisdiction to hear certain cases, such as those relating to patent infringement and the validity of patents, lies with the District Court in The Hague. The exclusive jurisdiction of the court in The Hague furthermore extends to cases regarding European Union trademarks and Community designs. Dutch procedural law does not provide for a general concept of discovery or disclosure of documents. In principle, the parties are free to collect the evidence that they require in the proceedings, and the Dutch courts are free to weigh that evidence as they deem appropriate. The implementation of EU Directive 2004/48 on the enforcement of intellectual property rights has led to the implementation of certain possibilities to seize and safeguard information into the DCCP. These rules allow the right holder to request the district court in preliminary relief proceedings to grant permission to seize evidence that is in the possession or under the control of the infringer. The preliminary relief judge will assess such requests for permission, mostly on an ex parte basis. The requests must explain and elaborate on why a legitimate fear of infringement exists. After permission for a seizure has been granted, the right holder may direct a bailiff to inspect the premises of the infringer. Accordingly, the bailiff will do so with the help of the necessary experts, such as IT specialists or technical experts. Any information collected by the bailiff will not, however, be handed over to the right holder directly. The information will initially be held by a custodian who has been appointed for this purpose when the leave for seizure was granted. The right holder will then have to institute separate proceedings, requesting the court for disclosure of the relevant documents that were seized. The right holder will not be able to access the seized documents until the court grants the request for such disclosure. The court of The Hague, especially, employs specialist judges to adjudicate IP cases, all of whom are seasoned experts. Because jurisdiction in patent cases lies exclusively with The Hague court, some of the specialist patent judges on this court’s payroll can boast technical acumen as well. IP proceedings on the merits are typically heard by a three-judge division. Preliminary relief proceedings, in which right holders have an urgent interest in relief, are adjudicated by a single judge, who is referred to as the preliminary relief judge. 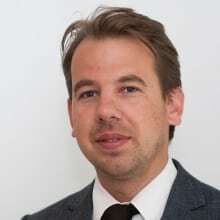 Although the procedural rules that apply in the Netherlands allow courts to appoint independent experts who specialise in a particular technical field or to request the parties to produce additional evidence to support the facts they are relying on, parties rarely ask for such an appointment. Instead in patent cases, the parties to the proceedings are usually assisted by technical experts of their own choosing, who will file written expert statements on behalf of the party that engaged them. These experts often show up at the hearing as well. The examination and cross-examination of party witnesses, be they experts or not, has no place in the proceedings, as litigation advances primarily through the exchange of written briefs (see further below). Dutch proceedings on the merits are conducted mainly by the exchange of written briefs in which the parties set out their arguments and defences. This exchange is often followed by a court hearing during which the parties will have the opportunity to present further arguments. Proceedings are initiated with a writ of summons, in which the claimant describes the IP right that it invokes, the infringement against which the action is brought and the relief that is requested. In setting out the particulars of the case, the claimant has to be as complete as possible. Also, the claimant is required to substantiate its claims in the writ of summons with evidence. Writs of summons in patent cases typically provide a technical background to the technical field at the heart of the dispute. Being served a writ of summons, the defendant will be given the opportunity to file a statement of defence. This statement of defence enables the defendant to raise defences and file exhibits that support its position. With the statement of defence, the defendant can furthermore avail itself of the opportunity to bring a counterclaim against the claimant. It can do so, for example, to claim the revocation of the IP right in question. The course of events to follow hinges on the proceedings themselves. The court will either schedule a hearing after the statement of defence, and after the claimant has had the opportunity to respond to the counterclaim, or it will allow the parties to continue the exchange of written arguments, after which a court hearing usually follows. During the hearing, the parties will be able to argue their case before the court. Court sessions in standard IP cases generally last between two and four hours. The court may take longer to hear the parties if the complexity of the patent matter at hand merits such. For reasons of judicial efficiency, however, Dutch courts do not allow a full elaboration on every single one of the arguments exchanged between the parties, thereby preventing needless repetition of what has already been argued in the written statements. Patent cases in which the validity of the European patent is challenged offer the patentee the opportunity to file auxiliary requests. Pursuant to such requests, the court may decide to uphold the patent in its present form or in amended form. In the Netherlands, evidence in proceedings is usually presented by the production of documents. Similarly, witness testimony is usually produced by filing written statements. District courts have to schedule separate sessions in case they want to hear witnesses. While this is certainly an option, it rarely happens in IP cases. In the assessment of IP infringement claims, Dutch courts take heed of the relevant CJEU case law. Moreover, there is a significant corpus of case law on the scope of protection and criteria for infringement of copyright, trademarks, trade names and design rights. In their adjudication of patent cases, the Dutch courts will interpret the claims in conformity with Article 69 of the EPC and the protocol belonging thereto. Dutch case law provides a number of criteria applicable to that Article (see Section II). Besides literal infringement, the Dutch courts can also establish infringement by equivalence. In consonance with Supreme Court case law, the patentee’s actions during the patent’s prosecution can be a relevant factor in the assessment of the scope of patent protection. 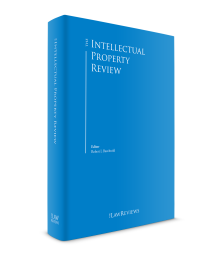 In intellectual property infringement proceedings, the most important defences are those directed at the invalidity of the IP rights. The district court can deal with these defences in the same proceedings that involve the actual infringement. In preliminary relief proceedings, the preliminary relief court will make a provisional assessment of the validity of the IP right in question. Although the right cannot be invalidated for the Netherlands in these proceedings, infringement claims will be denied if the court considers it likely that the right will be found invalid in proceedings on the merits. Claims on the grounds of inequitable conduct or similar defences are not recognised within the Dutch system. In patent cases, the validity of patents can be challenged on account of a lack of novelty or inventive step. This can be done in much the same way such challenges would be lodged with the European Patent Office. In IP cases, proceedings on the merits usually take around 12 to 16 months from the moment at which the writ initiating the proceedings is filed until the court renders a decision in the first instance. The Court of the Hague has established an accelerated regime for patent cases, which is known as the ‘VRO-regime’ in Dutch. This regime can be used for infringement claims and revocation actions. On the basis of this regime, the dates on which the substantive documents must be filed and on which the hearing will take place are set out in a fixed schedule before the proceedings are set to commence. Because the parties are bound to this schedule, a first instance decision can typically be handed down within 12 months of the date on which the writ of summons is filed. Decisions in preliminary relief proceedings can be rendered within a few weeks, and even sooner in cases of extreme urgency. In cases involving a manifest infringement, causing irreparable harm to the rights holder, the Dutch system also allows for an ex parte injunction. Injunctions such as these can be issued without hearing the defendant, and can be obtained in just days. Relief by the court will typically be granted notwithstanding appeal, meaning that the decision will be enforceable immediately once it has been served on the defendant and before a decision on appeal is available. If the first instance decision should be set aside on appeal, the party enforcing the first instance decision will generally be liable to bear the damage it thereby causes. A cross-border injunction for countries in the EU for infringements on an EU trademark or Community design may be granted by a Dutch court if the defendant has its office in the Netherlands. A cross-border injunction for the whole Benelux may be granted for a Benelux trademark or design infringement. In the same way a cross-border injunction for all EU countries in copyright cases may be granted by Dutch courts that base those decisions on case law of the European Court of Justice that several copyright definitions are harmonised in the EU. In the Netherlands, the losing party can be ordered (if claimed) to compensate all reasonable and fair legal costs and other expenses of the winning party. The starting point is reimbursement of costs that were actually incurred, unless actual costs are not reasonable and proportionate. Dutch law provides that decisions in the first instance are open to appeal. There are four courts of appeal in the Netherlands, all of which can hear IP cases. Like the District Court of The Hague, however, the Court of Appeal in the Hague has exclusive jurisdiction to hear certain cases, which is why it can boast the most experience in IP-related matters. Under the Dutch system, appeals are de novo. The Court of Appeal has complete jurisdiction to decide on both the main claim (e.g., infringement) and the counterclaim (invalidity or revocation), such being subject to the parts of the decision that the parties take issue with. In such appeal proceedings, parties are free to adopt new positions and adduce new evidence. As is the case in first instance proceedings, most proceedings are conducted through the exchange of written briefs between the parties, after which the case will be heard by the Court of Appeal. Defendants on appeal also have the opportunity to file a counter appeal, in which they can advance their own grievances to the decision rendered in the first instance. Appeal cases are typically handled by a panel of three judges, taking anywhere between 16 and 20 months from the moment the appeal is filed until an appeal decision is reached. Dutch law also allows for alternative dispute resolution. However, IP disputes are not often alternatively resolved. It is hard to predict when the unified patent system will enter into force. The German ratification has been delayed due to a case pending in the German Constitutional Court on the UPC’s compatibility with the German Constitution. There is speculation that a ruling will be issued in the end of 2018, but if an oral hearing is scheduled, this may not happen before 2020. On the basis of this system, applicants will have the opportunity to obtain a single unified patent in Europe and to enforce this patent before one Unified Patents Court. This system is anticipated to change the patent litigation practice dramatically. The implementation of the European Directive for the protection of trade secrets is expected to have a major impact on the protection of trade secrets in the Netherlands. 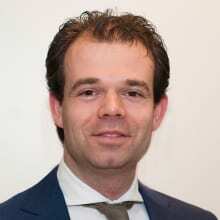 Finally, the implementation of the new Trademark Regulation into the Benelux Convention on Intellectual Property will bring major changes as of the beginning of 2019; for example, the option to start revocation proceedings before the Benelux Office for Intellectual Property, where parties now have to pursue such actions. 1 Wim Maas is partner and head of IP and Maarten Rijks is counsel and head of trademarks, copyrights and designs at Taylor Wessing Netherlands. 3 Court of Appeal Arnhem-Leeuwarden, 23 May 2017. ECLI:NL:GHARL:2017:6697 (Heksenkaas). 4 District Court The Hague 12 July 2017, ECLI:NL:RBDHA:2017:7543 (Tom Kabinet). 5 District Court The Hague 13 December 2017, ECLI:NL:RBDHA:2017:14483 (Kwantum/Vitra). 6 Kwantum is represented by Taylor Wessing. 7 Supreme Court 7 July 2017, ECLI:NL:HR:2017:1270 (Nanada Music/Golden Earring). 8 District Court of The Hague 22 March 2017, ECLI:NL:RBDHA:2017:2721, the District Court of The Hague 27 September 2017, ECLI:NL:RBDHA:2017:10934 and the District Court of The Hague 18 October 2017, ECLI:NL:RBDHA:2017:11759 (Philips/Asus). 9 Asus is represented by Taylor Wessing. 10 Van Haren is represented by Taylor Wessing. 11 Preliminary Relief Court The Hague, 18 April 2013 (Louboutin v. Van Haren). 12 District Court The Hague, 1 April 2015. 13 Literally translates as ‘Witches’ Cheese’. 14 Literally translates as ‘white woman cheese’. 15 Literally translates as ‘white woman’. 16 Advocate General Supreme Court 26 January 2018, IEF 17464 (Heksenkaas/Witte Wievenkaas). 17 Court of Appeal of The Hague 14 March 2017, ECLI:NL:GHDHA:2017:561 (Red Bull/The Bulldog). 18 District Court of Zeeland-West-Brabant 15 February 2017, IEF 16654 (Wendy’s). 19 District Court of The Hague 19 April 2017, ECLI:NL:RBDHA:2017:3987 (NXP/Infineon). 20 Court of Appeal Amsterdam, ECLI:NL:GHAMS:2017:1952 (Ravensburger/Jaludo). 21 TW Global Intellectual Property Index, p. 11. 22 TW Global Intellectual Property Index, p. 37.